Dr. Thorpe is a board-certified Endodontist with many years of experience. He completed 22 years of U. S. Naval service, retiring as Captain. 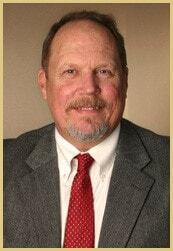 Dr. Thorpe has served as the Command Consultant for the Navy on both coasts as well as Europe. He finished his career in the Navy as an Assistant Professor of Endodontics at the Naval Postgraduate Dental School. Dr. Thorpe continues to lecture on various subjects at many study clubs and for the many continuing education courses throughout the United States. Dr. Thorpe was recently recognized as a Top Dentist by Virginia Living magazine for 2010, 2013, and 2015 and from the Consumers’ Research Council of America for 2005-2015. He was also recognized as Northern Virginia magazine Top Dentist in 2012 and 2015 as well as Washingtonian magazine’s Top Dentist for 2014.